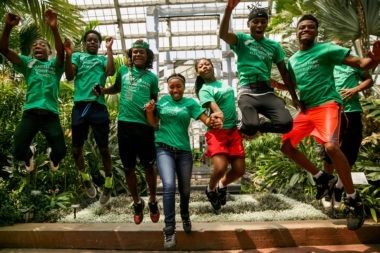 See what our Urban Roots teens are up to! 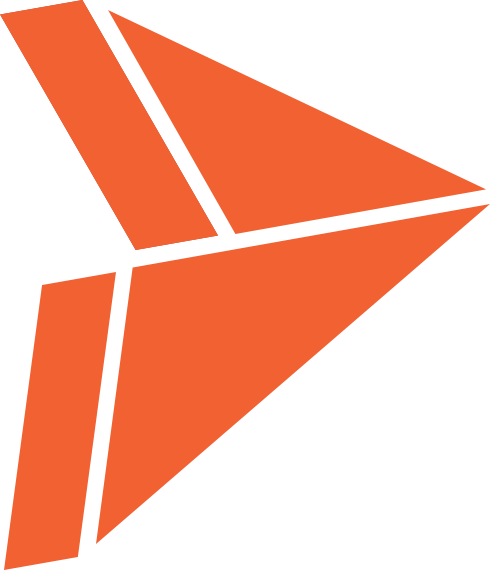 Our docents are great at keeping students engaged. 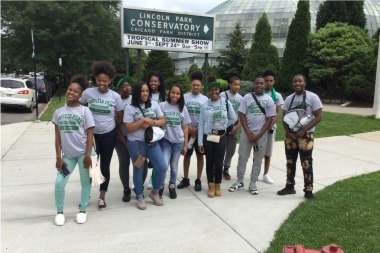 Here they are in Sugar from the Sun learning about the pineapple plant. 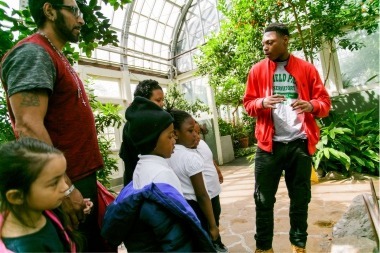 Teen docents work together to review plant information before working with visiting field trip groups. 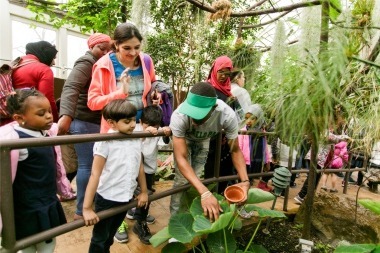 Students are encouraged to interact with our plants with multiple senses (no tasting, though!). 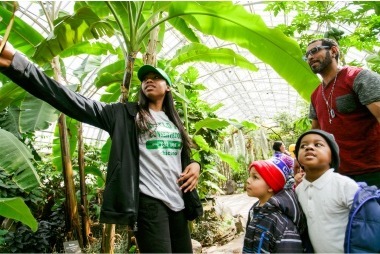 Students learn about how banana plants grow. 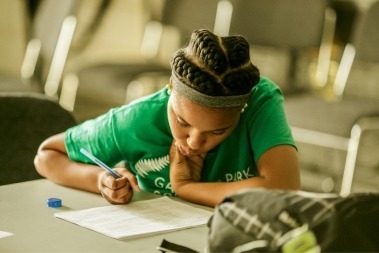 Teens prepare for the End of Summer Celebration, which celebrates the culmination of the summer internship component of the program. 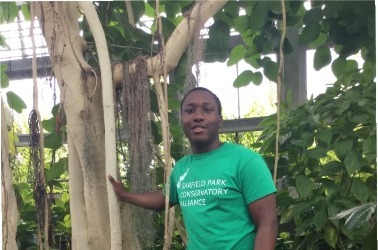 At the Lincoln Park Conservatory for a field trip. 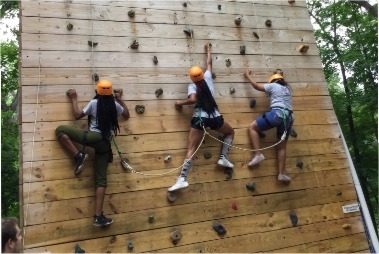 Teens try their hand at rock climbing on their team building retreat. 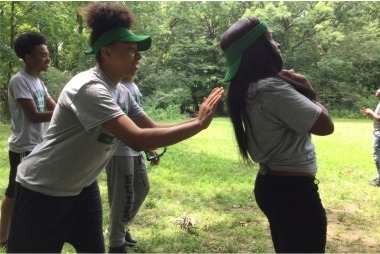 Building trust on their retreat! 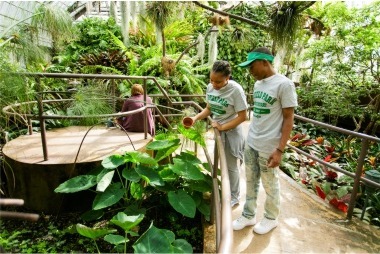 There are always more interesting plants to learn about at the Conservatory! 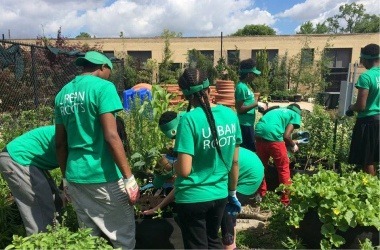 Weeding and watering are a part of the regular gardening maintenance that the teens do over the summer. 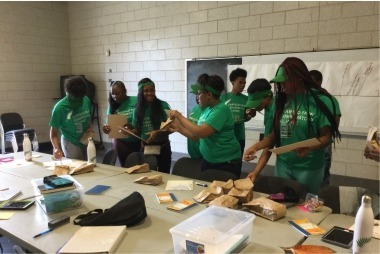 STEM lessons are a big part of Urban Roots–teens work hard learning about plant biology and the science behind gardening.